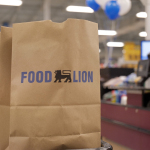 "We not only invested in our stores, we also invested in promoting great associates and hiring promising new talent"
SALISBURY, N.C.--(BUSINESS WIRE)--Food Lion will continue its commitment to greater Roanoke, Va., customers on Wednesday, Oct. 10, unveiling a new, easier shopping experience. The company made a significant $91.7 million capital investment in its 63 area stores this year, which includes remodeling the stores, hiring nearly 2,000 additional associates to better serve customers and giving back to local communities by donating two mobile food trucks to area food banks to nourish local families in need. Each store will open to the public at 8 a.m. on Oct. 10, following a 7:45 a.m. ribbon-cutting ceremony. As part of the celebration, the first 100 customers in line will receive a free thermal tote bag and mystery gift card valued between $10 and $250. Later that afternoon at 5 p.m., the first 100 customers will get a free Food Lion branded bamboo cutting board. A greater selection of easy and affordable complete meals for families and a wider variety of grab-and-go items and pre-sliced deli meats and cheeses, which are sliced fresh daily and available for customers to pick up without waiting in line. Thirteen of the 63 stores also feature walk-in garden coolers designed to keep produce fresher longer. Those coolers are in the following towns and cities, click here. Twelve stores in the market now include a wing bar assortment for customers looking for hot, quick meal solutions. “We not only invested in our stores, we also invested in promoting great associates and hiring promising new talent," added Ham. "It's also why, as part of our grand re-opening celebrations, we're partnering with the Feeding America of Southwest Virginia and the Blue Ridge Area Food Bank to help end hunger in the towns and cities we serve. We will donate two new mobile food trucks to both food banks so they can nourish hungry families with fresh items. Giving back to our communities is something we're just as passionate about as serving our customers every day in our stores." 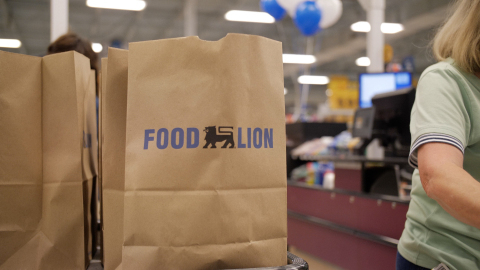 With the completion of this market, Food Lion has remodeled 712 of its 1,030 stores in the last four years. The company also just completed renovating 105 stores in the greater Norfolk market just in August. Food Lion will continue to make enhancements to create a better shopping experience for customers across all stores and remodel additional stores in other markets.